Cultivating what is right, rather than focusing on what is wrong, for therapy that works. People enter therapy not just because they are stuck and struggling, but also because they are ready for change and have some hope of experiencing it. That readiness is a manifestation of each person’s innate resilience, their capacity to work on their own behalf to heal. Many of the common modes of clinical work focus on pathology, the effects of habits or conditions that can be healed through clinical work. Eileen Russell, without discounting the importance of pathology, offers us the idea that the best way to help with what’s going wrong in people’s lives is to build from the foundation of what’s going right. 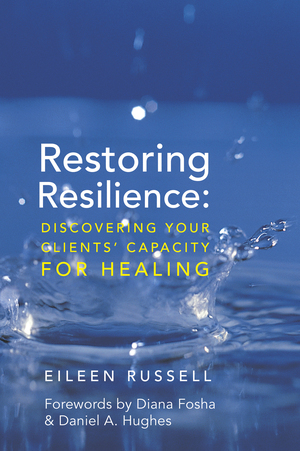 In this book, therapists will learn how to identify the potential for resilience in clients and help them cultivate and deepen it for lasting change. Drawing on interpersonal neurobiology and affect regulation research, as well as a number of theoretical orientations including Accelerated Experiential Dynamic Psychotherapy, Focusing, attachment theory, and EMDR, Russell provides the essential tools and background for any therapist interested in engaging in resilience-oriented therapy. 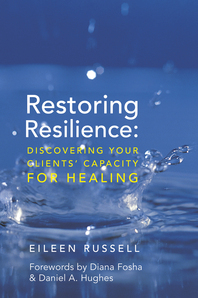 She includes a wealth of thoughtfully annotated examples from her own clinical work, shares inspiring, illuminating stories of patients who have become more resilient through therapy, and offers many practical tips for clinicians along the way.